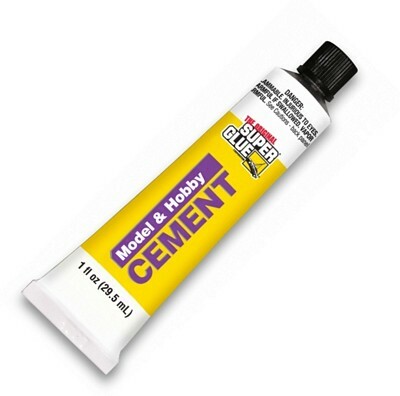 Super Glue Model Cement 1oz Tube - Water resistant glue for ABS and polystyrene plastics. Can be use on ceramics, wood, balsa, cardboard and paper. Sets quickly and dries hard.